AVM-1499 is a TV channel Modulator specially designed for NTSC TV system on CH14-16 & CH96-99. 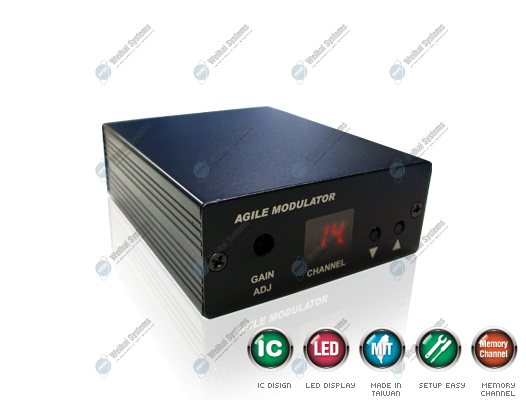 Modulate A/V signal to your selected TV channel. Any analog A/V device is available : DVD player, VCR, Satellite Receiver, CCTV camera. View video source and regular channels on the same TV. 90 dB signal output powerful enough for long cable runs.